My rear brake operates (eg when bike is on the main stand) but on the road it does almost nothing to slow me down. So I need to take it off and dismantle. Is there a guide to this I can read first? A workshop manual download didn't cover the brakes surprisingly. If it were me I'd whip the pads out first and de-glaze them. The back brake doesn't do much and it's prone to glazing. Thanks Kim - I suspect you are absolutely right. Trouble is I am not familair with that style of caliper and can hardly see it! So, how do I "whip" the pads out? Allen bolts or wire clip thingy? 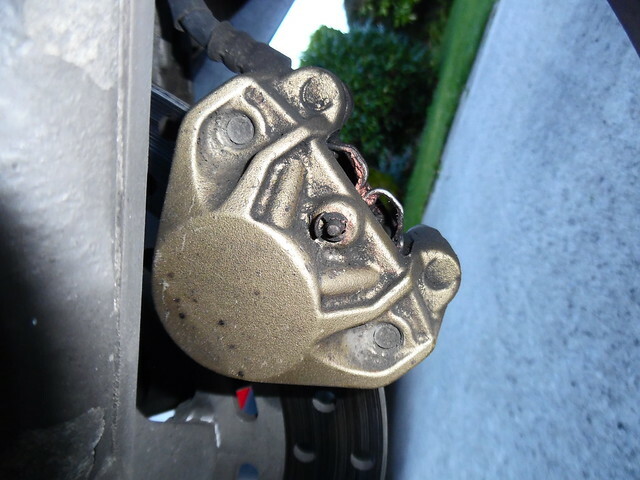 The pads have a central pin with a tiny circlip on the inside edge of the caliper . It's easiest to remove the caliper first . 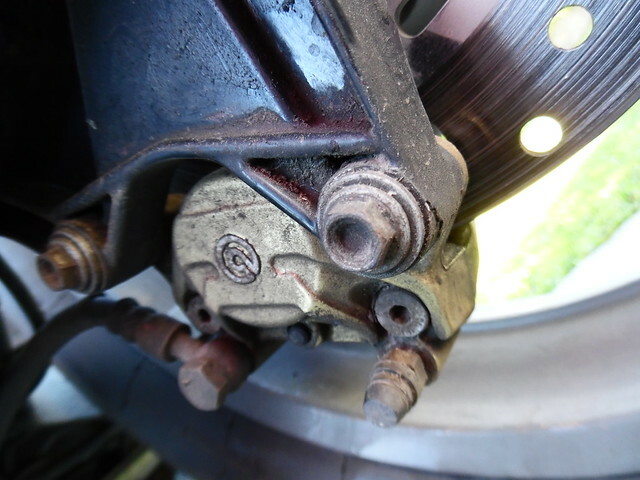 The upside down design is prone to collecting dirt which can stop the pads sliding on the pin and within the caliper body. ( obviously the pistons could be seized too) Removing the caliper from the bracket while in situ is a little fiddly from memory but I'll try to post a photo tomorrow if you're unsure what to do . Yes, take the caliper off but leave the hydraulics connected. Remove pads and check them out. 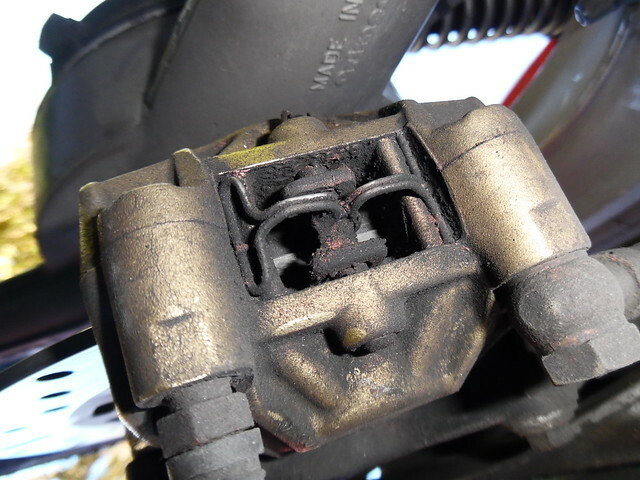 But also see if the piston can be pushed back easily, then operate the brake pedal and see if the piston moves again. Any stiffness in the piston suggests a strip down could be needed. Thanks for the guidance - I will give it a go and tell you how I get on. Pix of course always welcome. The other way is to turn the bike upside down. 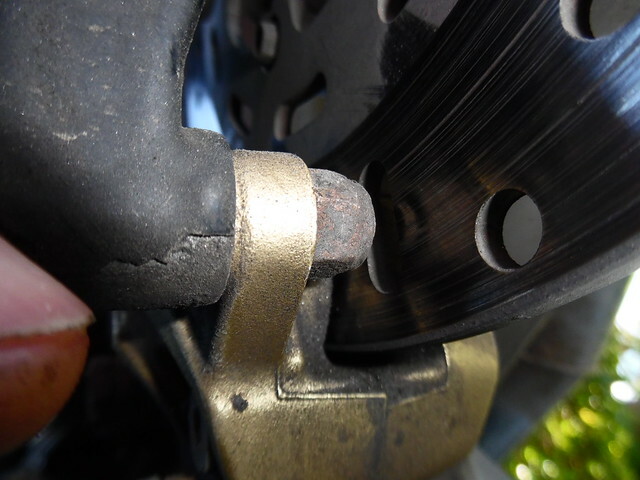 Thanks Nigel, that is all extremely helpful and I will get the caliper off and examined soon. I don't know that workshop in Sunderland red leader. I do all my own work on my bikes - just like to know what I am doing before I make a first time hash of it! Yes Brian, it's a thought. Wish I had a bike lift as I will have to turn myself upside down as it is. He keeps a low profile and doesn't have to look for work. Was on The Hill years ago then went on his own. "The Hill" is not what it was, sadly. 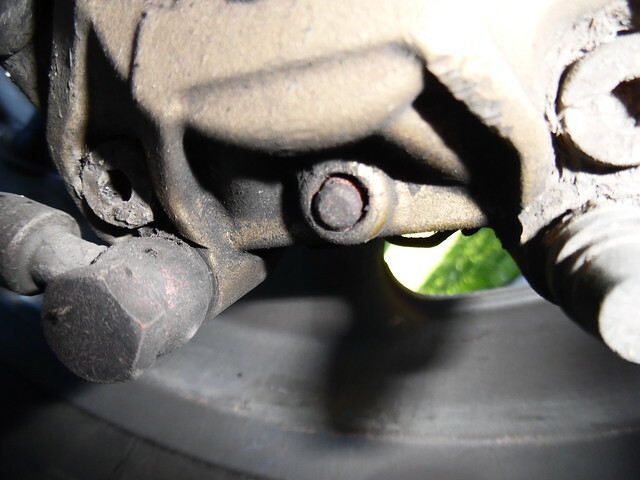 Before removing the rear caliper I pulled off the mini circlip from the RHS, through the wheel "spokes" then tapped the pin out. Wire clip falls out. Two spanners and the attaching bolts are off, caliper lowered, pads out. The whole thing is in excellent nick with clean copper grease evident but I suspect greasy fingers had contaminated the pads and then lack of use compounded the lack of bite. Bit of a clean, scotchbrite and brake cleaner and all good. Reassembly is the reverse.